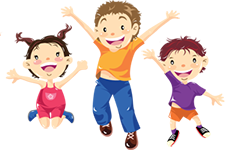 Run Jump-n-play is the sister company to Swings- n-Things, the number #1 retailer of outdoor fun in the Cincinnati area. 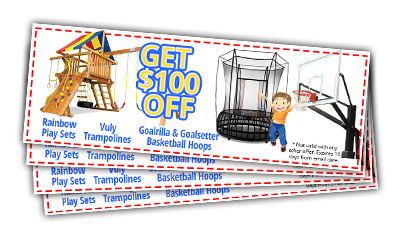 With top brands like Rainbow Playsets, Goalrilla & Goalsetter Basketball Hoops, and Vuly Trampolines, Swings-n-Things makes all the fun available to you at your home! Additionally, Swings-n-Things is the only licensed full-service retailer of it's products in the Cincinnati area. Come in today and ask about our specials, or simply try-it-before-you-buy-It on the best brands in outdoor fun! Best Quality In Backyard Fun! We care about quality and safety above all else and that is why we have been determined and fought hard to be the Full-Service Dealer for some of the Best Name Brands in the Outdoor Play Equipment Industry. We wanted our Customers to feel comfortable buying from us knowing they can trust the name that's on the products. Sure we can source everything from overseas if we really wanted to maximize our profit margins making every penny possible but who doesn't that really benefit in the long run? If the customer is receiving a subpar product that breaks down after a few years with no warranty, that reflects poorly on our business carrying those products. Our owner David Powell had his sights set on providing Top-of-the-Line Backyard fun families can count on. That is why we are the Exclusive Full-Service Dealers of Cincinnati for Rainbow Playsets, Vuly Trampolines, plus Goalsetter & Goalrilla basketball hoops. You don't just buy from us and never hear from us again. We are with you as long as the product is, even if you move! What Does Full-Service on Rainbow Playsets Mean? You can trust that Run Jump-n-Play is with you from the time of purchase until your children outgrow their Swing Set. Our relationship doesn't diminish when you walk out of our doors. No, it's just getting started! You don't ever have to worry about finding replacement parts on your own if by chance it is required. Just let us know what part you need replaced and we will handle the logistics having the correct spare part shipped out in no time. We give you the serenity in accepting the things you can not change, like our lovely Ohio weather. Never feel concerned with elemental damage. You are completely covered by the Warranty and we have a professional repair team that can handle the toughest jobs. We do it all from a to z. We're with you as long as your Rainbow Playset is!